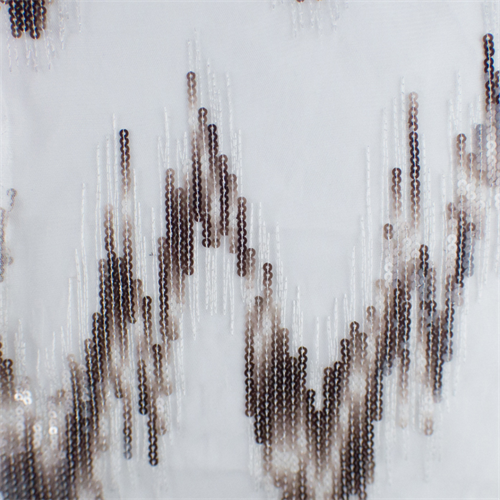 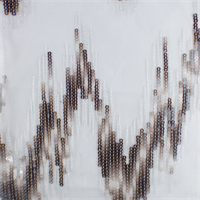 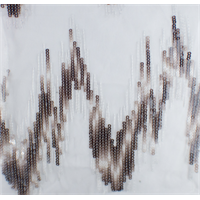 This beautiful sequined stretch mesh is designed with brown and white shimmery sequins attached with metallic silver embroidery inspired by the ikat stripe pattern. 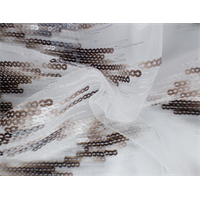 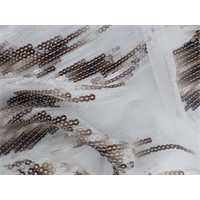 This sheer, white 4 ways stretch mesh fabric will look amazing for blouses, dresses, and special occasions. 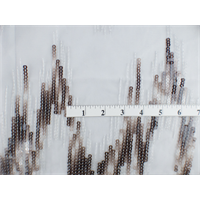 Use with lining.